The Festival Tent Instant Canopy incorporates a powder coated white heavy-duty steel frame with adjustable straight steel legs. 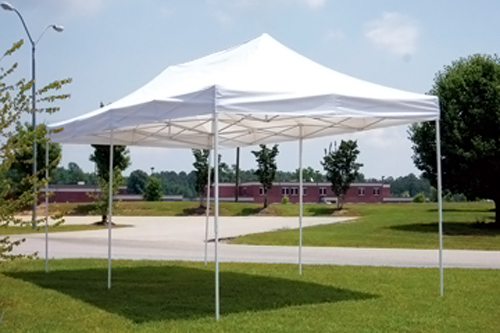 In addition to this heavy-duty steel frame you will find that the Festival Canopy top is made with rugged 240 Denier polyester that has a water resistant PVC coating on the under side. 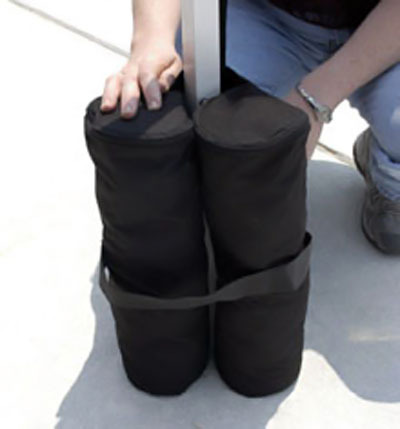 This instant canopy, easy to set up Festival tent also includes a heavy-duty carry bag. The Festival Instant Canopy offers great structural strength with ease of set-up and represents a terrific value for the money, plus it is designed to last for a lot more than just one season of use particularly due to it's structural integrity. 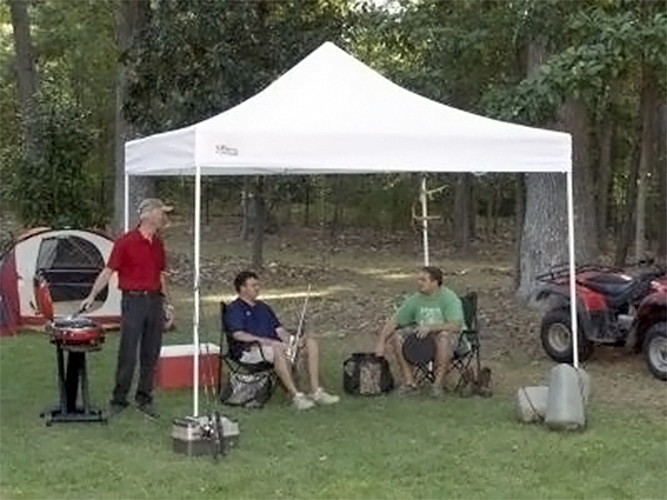 This functional instant canopy is also available in two larger sizes 10' x 15' and 10' x 20'. 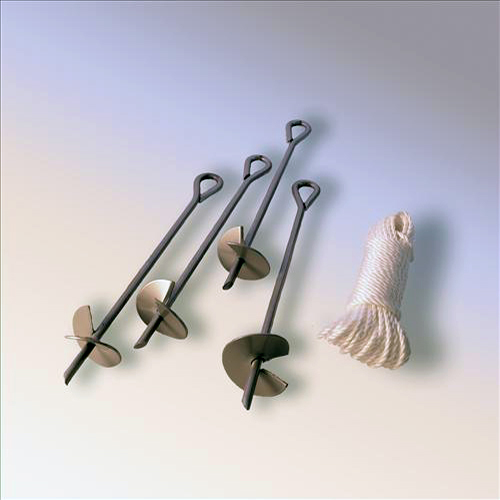 Peak Height adjustable from 9'10"to 10'10"
Center height and sides adjustable from 5'11" to 6'11"